I opted to set-up the pole and a feeder rod. The pole lines would be 13 metres, top two and two sections and my right hand margin. The lake was pretty shallow with an even depth of around two and a half feet. 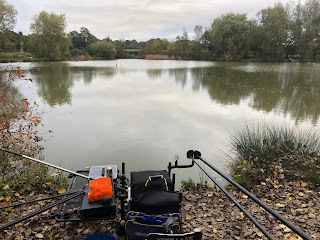 The feeder rod was a simple hybrid setup. 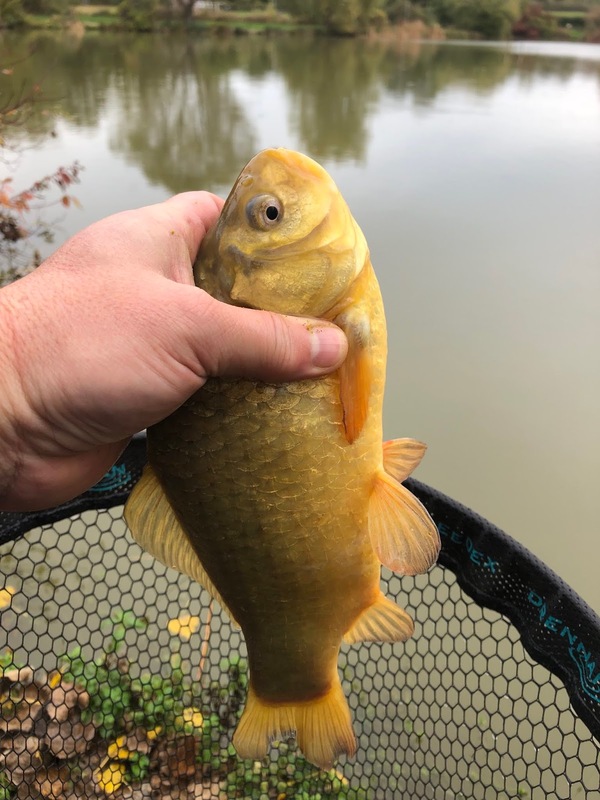 Bait wise, dead red maggots, sweetcorn, micro, 6mm and 8mm pellets. Again, not so much all in as when we were all ready. 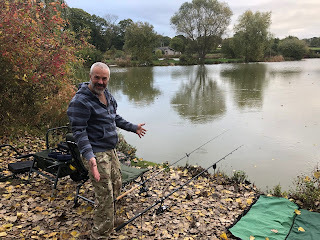 I cupped in some micro pellets and corn on the margin line and 13 metre lines and was into a silver bream straight away snaffling the dead red maggots on the hook. It was followed very quickly by the next fish. The silver bream caught on the pole line have quite an aggressive fight, certainly very different to the common bronze bream. 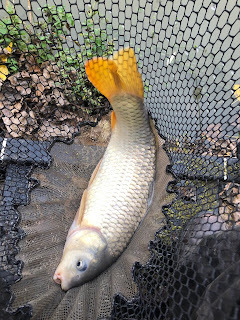 It is quite a "jaggy" fight similar to a crucian carp fight. 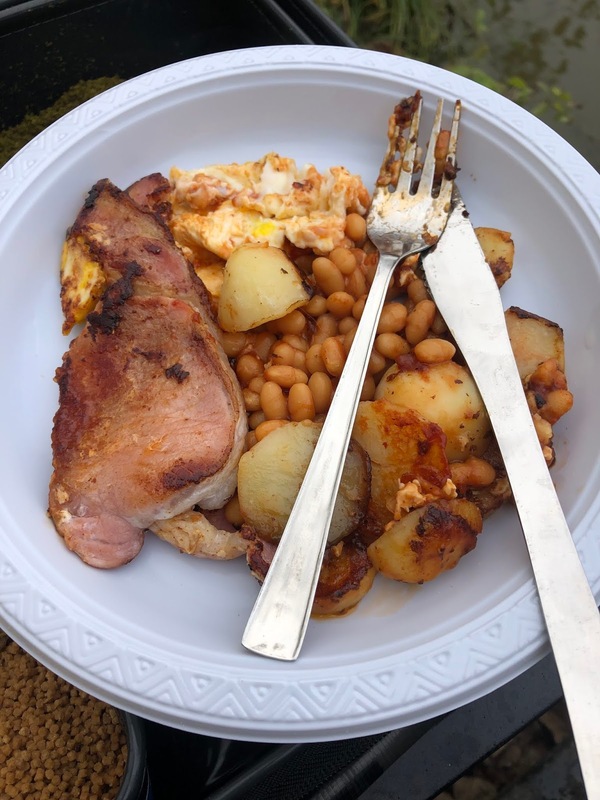 Craig had kindly cooked up some breakfast which resulted in some down time to enjoy the bacon, beans and egg... well I think it was egg ;-) Cheers matey! 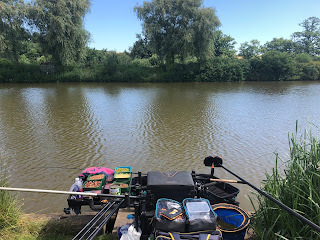 The long pole swim was producing fish very regularly and as today wasn't a match I could have a bit of an experiment and some drop in on the short line swim, potting in exactly the same as I had kicked off the long swim. 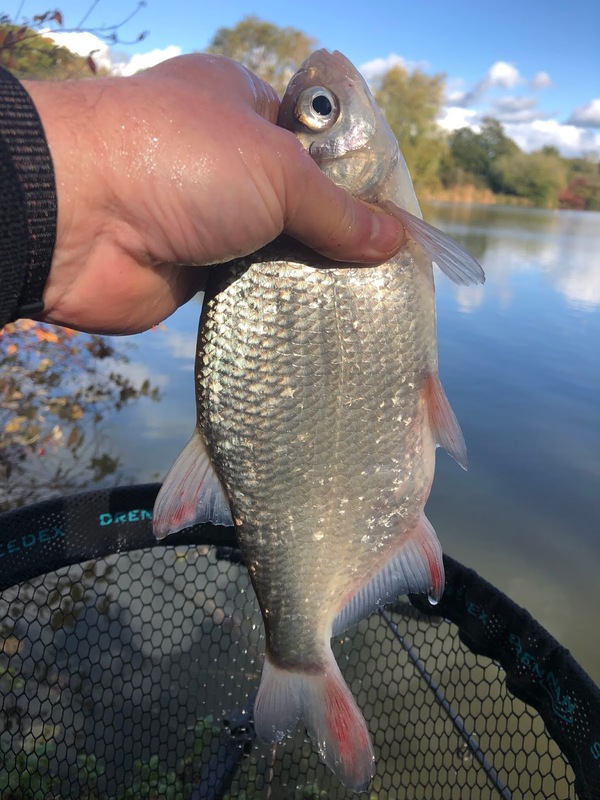 The same result, fish straight away, more silver bream! 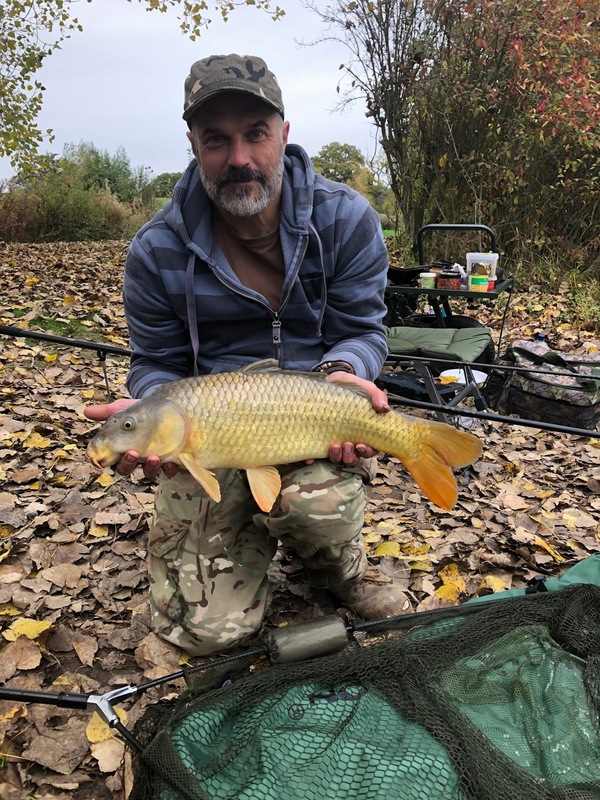 The maggot hook bait was also tempting the smaller fish, so a change to sweetcorn saw the bites slow down but rewarded with fish of a better stamp. I was fishing with a reasonably light elastic and of course the inevitable happened. Good old Mr common carp decided to join in on the action. 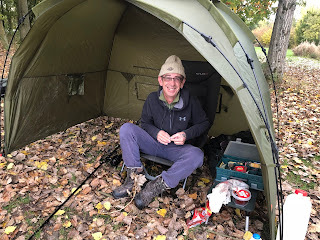 Five minutes later the net slipped under a small fish around 3-4lb. Margo had already landed a couple of carp but his next one would be the biggest of the session at around 7lb! 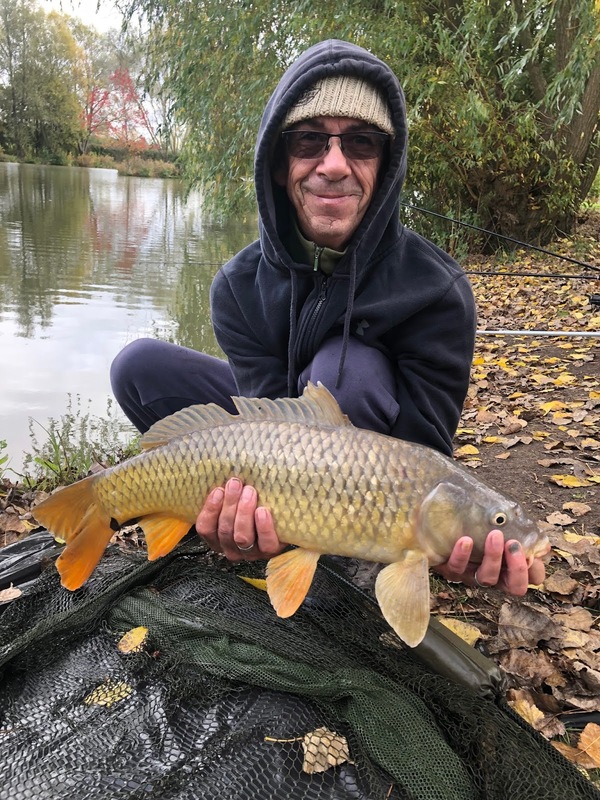 We grabbed a couple of pictures of it and I popped over to Craig's swim and quickly setup a waggler rod for him. No sooner had I got back on the box he was into a lovely carp caught on good old sweetcorn. 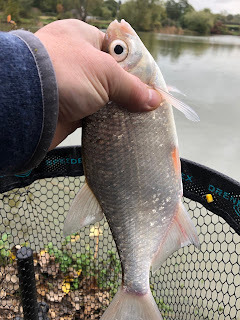 I'd had a great morning catching the lovely silver bream mixed with a crucian / brown goldfish and some roach however it was time to get some of the carp that the other lads were latching into. 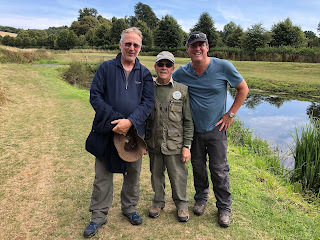 The lads where catching their carp a little further out and there was plenty of activity near the aerator so I targetting this area first. 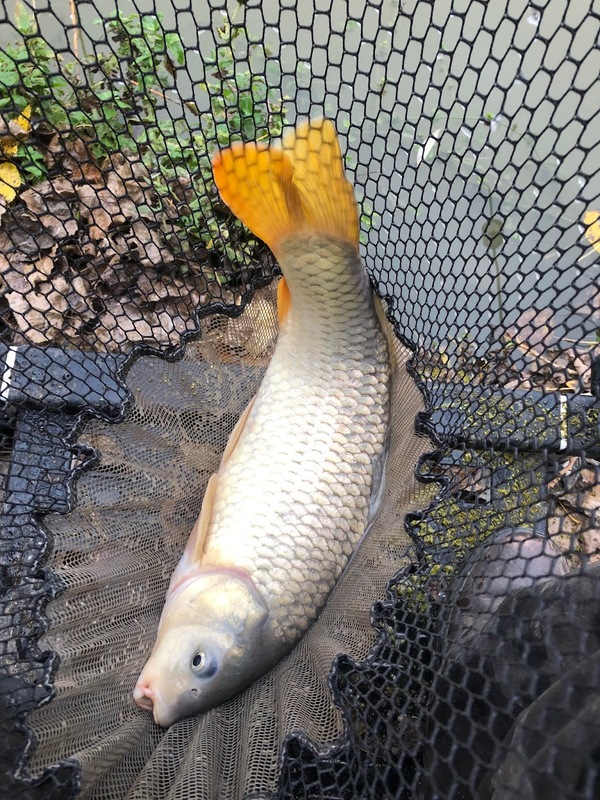 It didn't take long for the tip to go round and the first carp on the feeder in the net. Third cast and another fish on and in. The lake was certainly rewarding us today. Throughout the day I took around 12 carp ranging from just over a pound to around 5lb in weight. 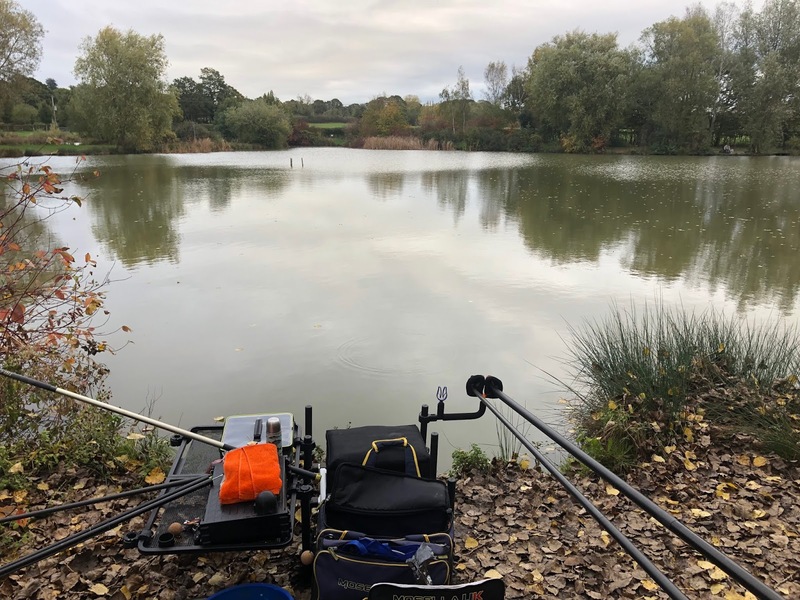 Interestingly I only had one fish in the margin swim on the pole which was foul hooked as I came back with a scale on the hook. 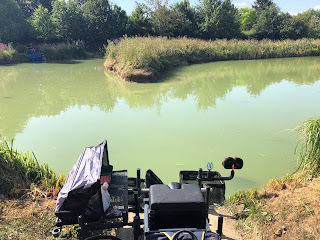 I'll certainly be back for more silver bream and I'm tempted to try and target some of the bigger fish in the lake, who knows, maybe the British record could be banked!